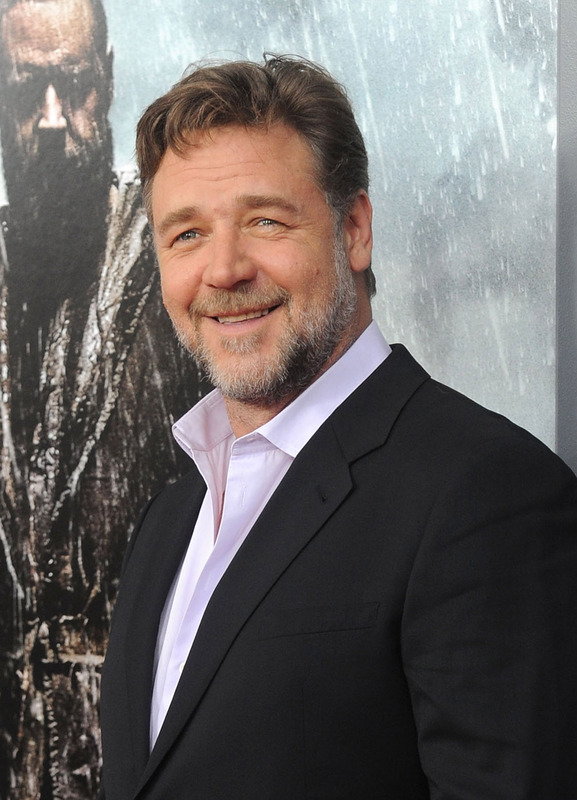 Oh, Russell Crowe. Did you not read the reviews the Les Misérables, when critics and the collective conscious told you to shy away from all things relating to music? Perhaps you only thought that pertained to Broadway songs? Well, for the universe's amusement, we bring you Russell Crowe rocking out with Jimmy Fallon on The Tonight Show. Crowe appeared on The Tonight Show to discuss his new movie, Noah , but instead, he and Fallon went on to talk about his failed music career (surprised much? ), including all of his ill-fated band names. And guess who was responsible for these so-bad-they're-good monikers? Mr. Crowe himself, who does take responsibility for his stunningly terrible creativity. Some of them included: The Roman Antics (a not particularly clever play on The Romantics), Dave Decent and The Interrogatives, and the real gem, Russ Le Roq And The Romantics (Crowe is "Le Roq," in case you were wondering). Even if Crowe's failed attempts at becoming a rock star act as an appropriate precursor to his unsuccessful attempts at musical theater singing, you may be surprised that rock 'n' roll fan Crowe and Fallon actually are fun to watch! But seriously, when isn't Fallon a blast to watch? The host brings out the best in everybody. Check out Crowe, Fallon, and The Roots as they put their spin on "Folsom Prison Blues," and as Crowe fulfills his (otherwise failed) rock star dreams.